This sign is a monster at 18 feet by 30 inches. 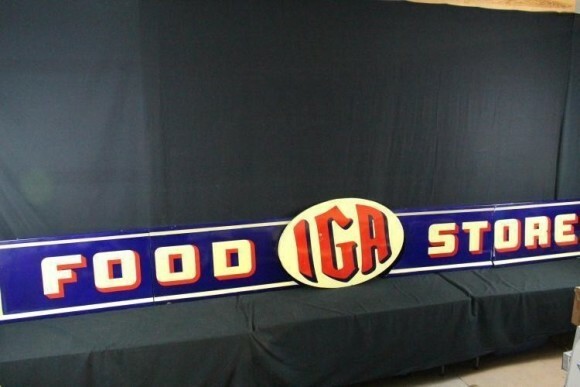 The sign is long and is for IGA Food Stores. The sign is tan, red, and navy blue.